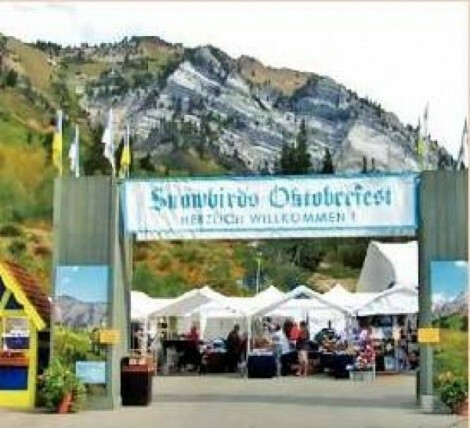 Well, it might not be quite as stupendous as Munich’s annual Oktoberfest, but on weekends through Oct. 11, Snowbird Resort will host its own annual Oktoberfest celebration, the 37th year of doing so. Snowbird’s Oktoberfest will attract more than 70,000 visitors who descend upon The ‘Bird for authentic Bavarian food (bratwurst, weisswurst, beef roulades, spatzle, sauerkraut and more); German bands and yodelers; dancing (better brush up on the Chicken Dance); biergartens (that’s beer gardens); alphorns; a German-style market with gifts, crafts, art and pottery; and a kinderland for the youngsters. Admission is free and Oktoberfest runs from noon to 6 p.m., weekends through Oct. 11. For more information, visit SnowbirdRC.org. Looking for dinner and a movie? On Friday, Sept. 11, The SLC Film Center will team up with restaurateur Valter Nassi and Cucina Nassi (formerly the Sugar House post office, next to the Sprague Library) to host a special evening of film and food. The evening kicks off at 6:30 p.m. with Prosecco (Italian bubbly) and antipasto, provided by Cucina Nassi, followed by pasta and more Prosecco at 7:30. At 8:30, The SLC Film Center will show an outdoor (bring your sweaters and shawls) screening of Il Postino, followed by gelato, biscotti, hot chocolate and conversation. This sounds like a very tasty and entertaining evening, but tickets are limited for the event, which is a benefit for the SLC Film Center. Tickets are $125 per person. RSVP to Kelsie Jepsen at kjepsen@slcfilmcenter.org or call 801-746-7000. Cucina Nassi is located at 2155 S. Highland Drive, CucinaNassi.com.